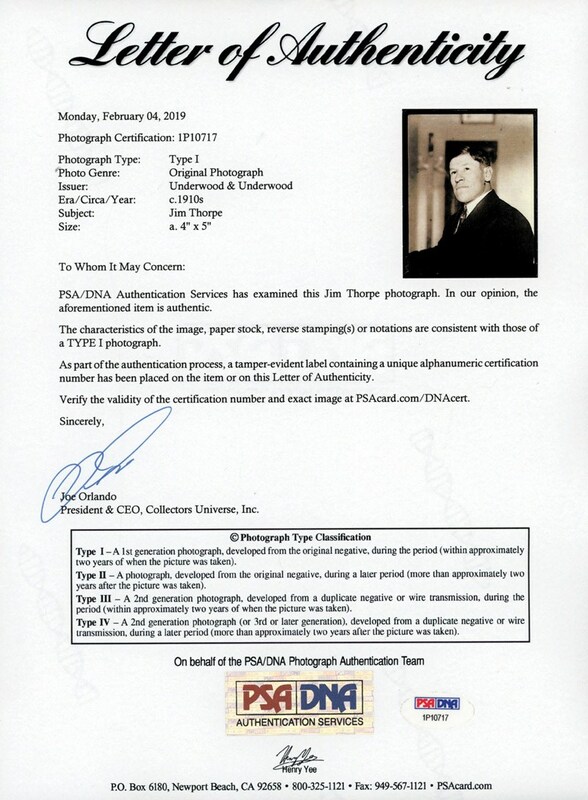 This stellar Jim Thorpe original portrait photo was taken by the renowned Underwood & Underwood news service and portrays the immortal 20th century star in his period-style formal attire. 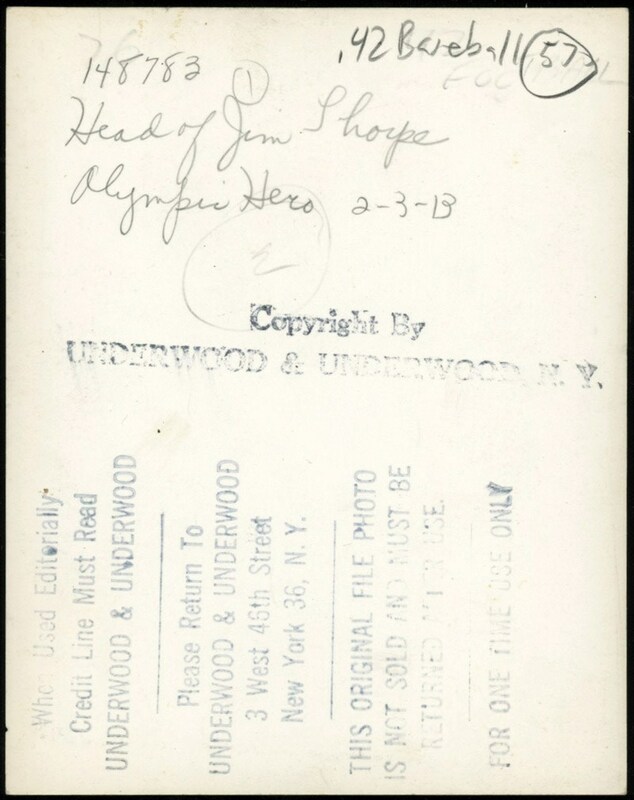 Issued in the c.1910's period, it was issued at the height of his baseball, football and Olympics stardom, with century old Thorpe mementos few and far between. 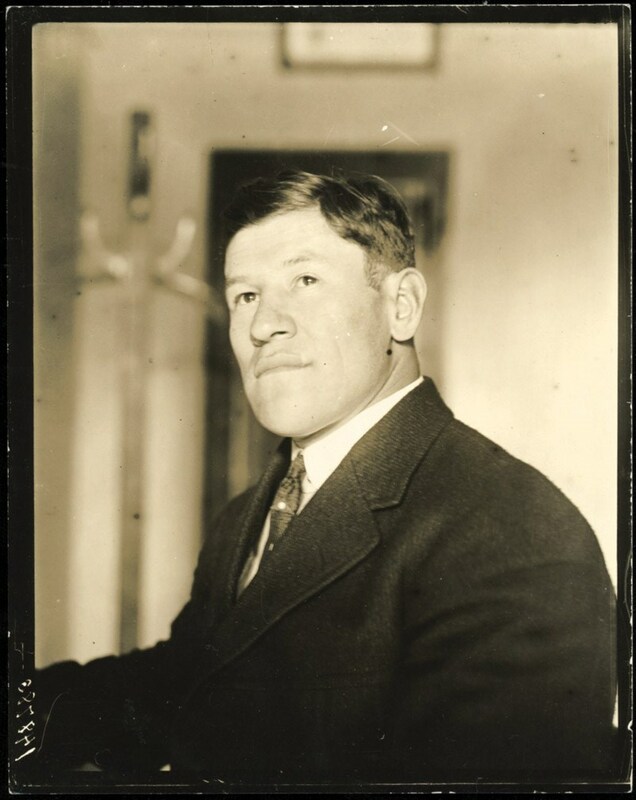 One of the greatest all-around athletes ever, the immortal Jim Thorpe not only dominated various Olympic events including winning gold medals in the 1912 pentathlon and decathlon events as well as playing professional baseball and football during the early 1910's.